Filled with beautiful scenery that can fill an array of itineraries, it's no surprise why almost 30 million people across the globe visit the United Kingdom every year. From hundreds historical museums to dig into, thousands of enchanting parks and gardens to explore, as well as communities to discover - this captivating country has numerous scenic drives you won't want to miss. VroomVroomVroom has compiled a list of top 10 wonderful drives guaranteed to excite your eyes, especially if you fancy getting into your hire car or motorhome. Check out the list below! Driving along the B4632 Cheltenham to Stratford-upon-Avon (the birthplace of Shakespeare) is a favourite among sightseers. The winding road here is not a major roadway, so visitors can have a relaxing ride and just enjoy the serene green hills of the Cotswolds and wildflowers meadows, plus not to be missed are impeccable English villages along the way. Find time also to visit the historic town of Chipping Campden, which provides amazing sightseeing of its own. Once you reach your destination, catching a performance at the Royal Shakespeare Theatre is a must! 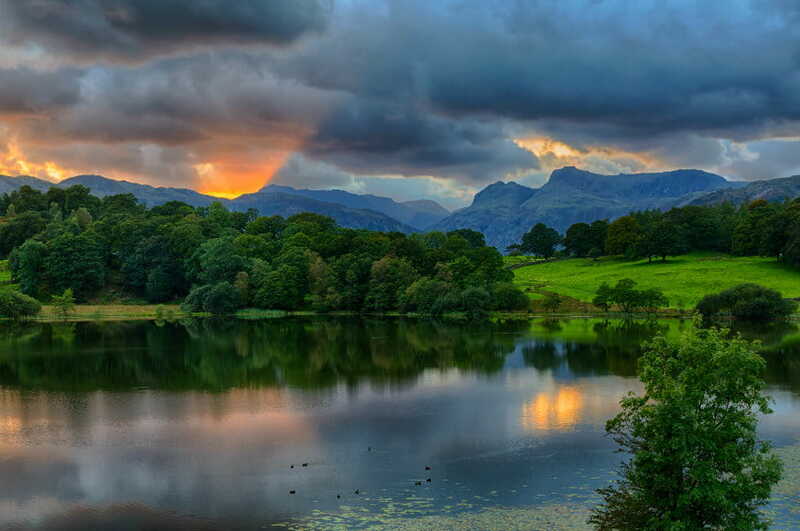 It's easy to see why the Lake District is deemed as one of the popular destinations in the UK. With its romantic setting and the lakes being enveloped with beautiful green fell land - it's no wonder thousands of tourists visit this place yearly. For a truly stunning and remarkable drive, take the circular route which starts in Kendal (on the A5284) and passes through Ambleside, Keswick and Windermere, taking in the variety of lakes to be found in the location. In addition to that, the 30-mile stretch (A591) between Kendal and Keswick is one of the most scenic drives in the district as it is the only road that crosses through the heart of the National Park. Other must-see sights in the Lake District include Castlerigg Stone Circle, Dove Cottage, Hill Top, Keswick Museum and Rydal Mount & Gardens. 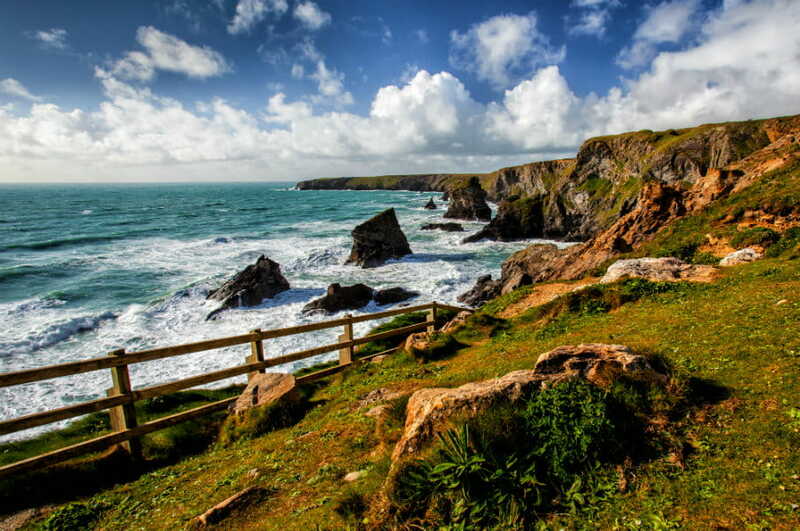 Regarded as one of the world's most beautiful drives by National Geographic, Cornwall has everything it takes for a scenic drive; rugged coastline, whitewashed seaside villages, lush green countryside and Celtic ruins. The long and winding road along the north Cornwall coast known as the “Atlantic Highway” is a must, where you drive through some of the country's most dramatic coastline. If you love history, consider taking this route for an educational tour filled with stories of Victorian engineering and more. 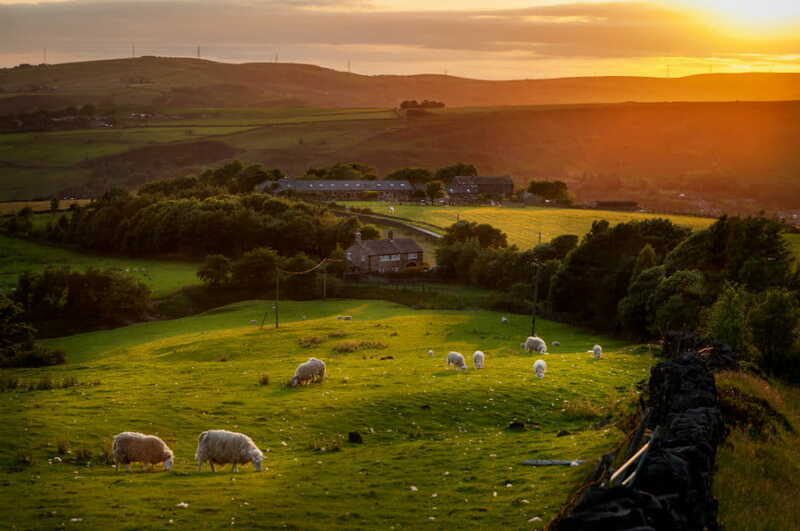 With countless breathtaking views to enjoy as well as villages to stroll around, the Peak District is another perfect spot to recharge batteries. 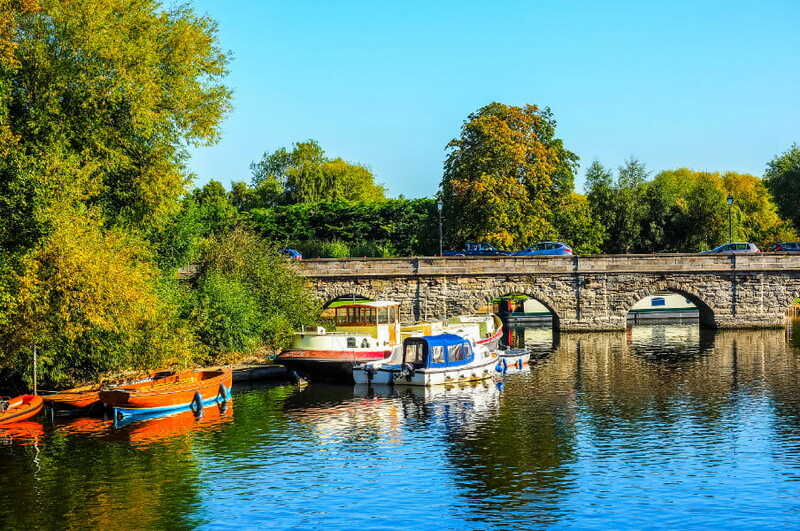 Further, it has long been popular for lovers of the great outdoors, which is no surprise given the area's magnificent scenery and accessibility. Top attractions in the Peak District include the Heights of Abraham, Gulliver's adventure park at Matlock Bath, Go Ape and Lyme Park. Recognised as one of the most scenic drives in the UK, the circular route from Inverness to Nairn can take two days to complete. The drive takes in the coast alongside Lossiemouth before heading inland past historic castles and whisky distilleries. It also heads into the Cairngorms National Park which is best-known for its lovely landscapes and home to the Red Squirrel, Golden Eagle and Scottish Wildcat. The city of Inverness is a perfect base if you want to explore the wonderful Highlands and Islands of Scotland. While in Nairn, you can enjoy the seafood in one of several restaurants the city has to offer or just relax on the beach. 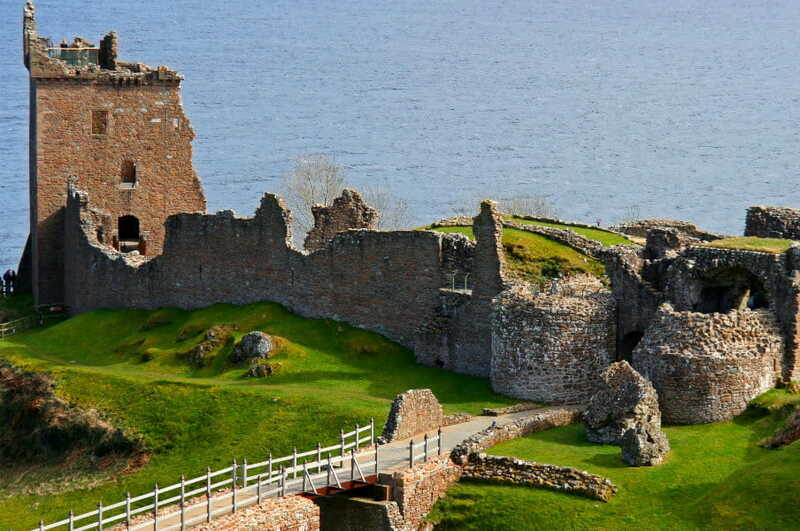 Another must-see drive in Scotland is the journey from Loch Lomond to Lochgilphead. 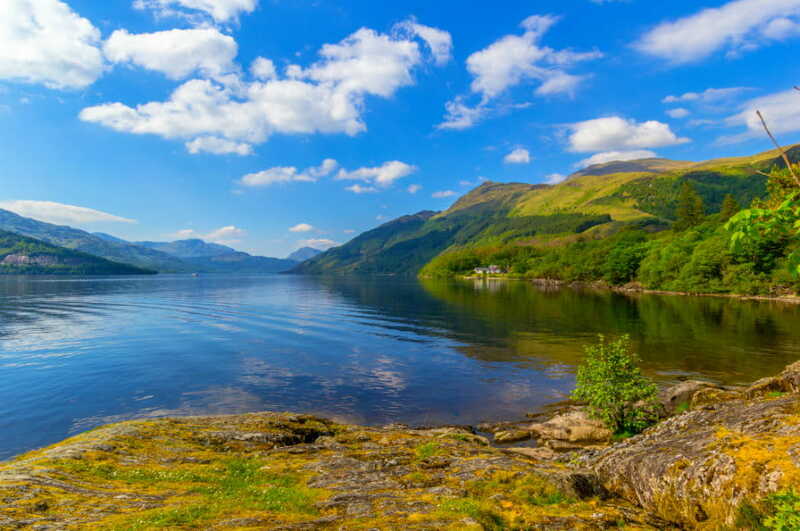 If you want to discover a mixture of renowned lochs and hills, this trip is perfect for you as this trip brings you to Kintyre and the islands of the West Coast. Travelling north from Glasgow on the A83, you enter the Loch Lomond and the Trossachs National Park at Balloch. Climbing The Cobbler, which is a popular hiking spot in the Arrochar Alps, is truly an experience for the keen walker. 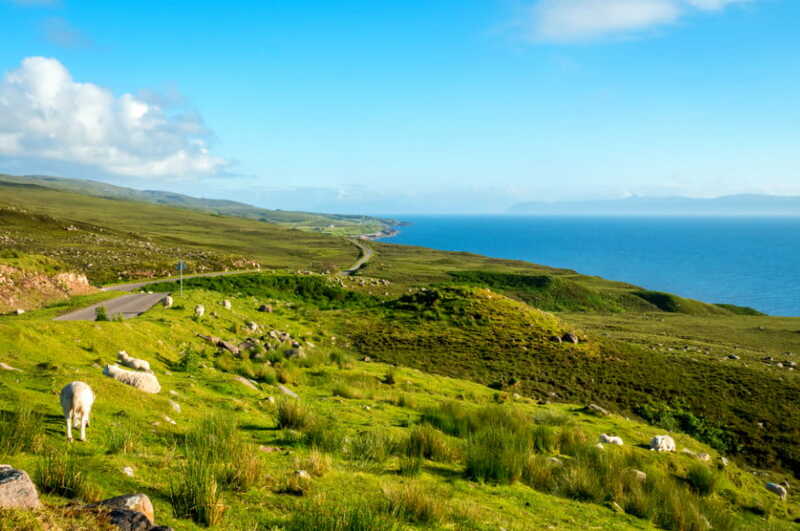 Spanning more than 500 miles of stunning scenery and plenty of attractions around Scotland's northern coast, find time to discover why a rental drive to North Coast 500 (NC500) is touted as one of world's most beautiful drives. Not to be missed attractions and highlights here are the Falls of Rogie, the famous Bealach na Bà, Loch Maree, the Achmelvich beach, the Beinn Eighe National Nature Reserve in the Torridon area, the Cape Wrath, as well as the breathtaking views across the islands of Skye and the Hebrides. 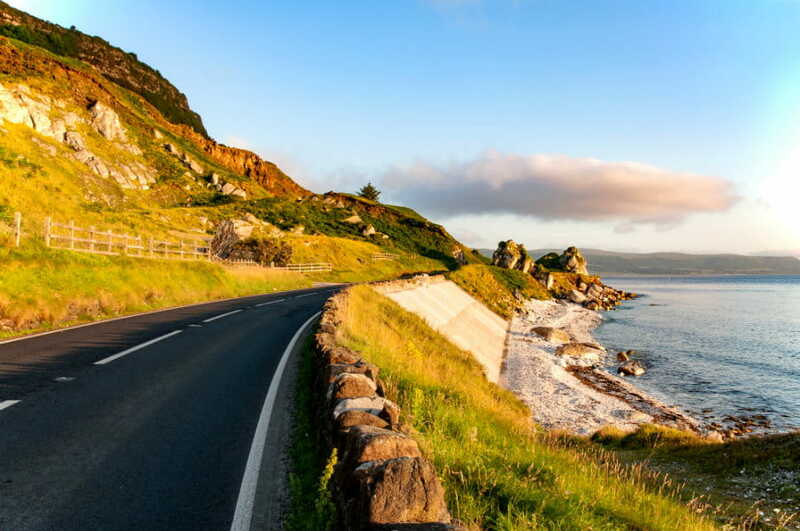 Listed as one of Northern Ireland's greatest adventures, make sure to give yourself time to discover why the Causeway Coastal Route is a true legend. Stretching from Belfast to Derry-Londonderry (or vice-versa) - there are plenty of places to see and discover, from long-ruined castles to sandy beaches to fascinating vantage points. These include: Carrickfergus Castle, Gobbins Cliff Path, Glenariff Forest Park, The Dark Hedges, Carrick-A-Rede Rope Bridge, Giant's Causeway and Dunluce Castle. Top tip: some roads leading off the route to attractions can be quite narrow so make sure to focus and keep you mind on your driving. Arguably one of the most spectacular drives in the UK, the Black Mountain road also known as A4069, is a picturesque road that climbs in the western part of the Brecon Beacons National Park in Wales. 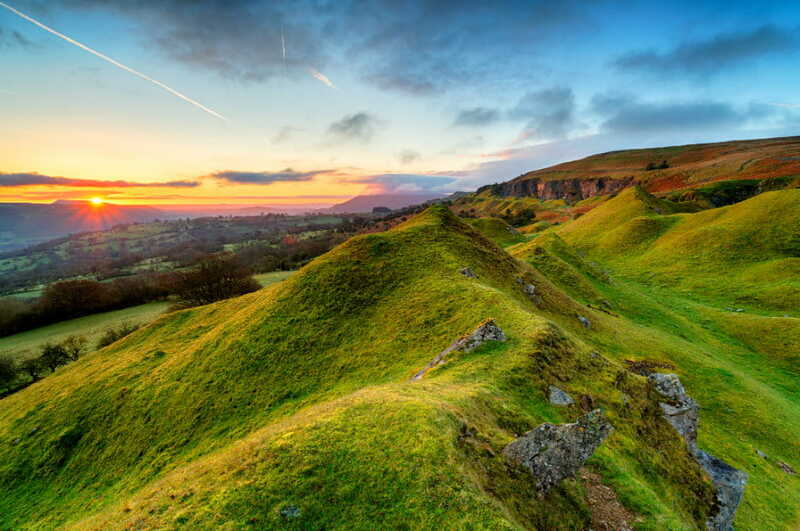 The road, which crosses the Black Mountains from Llandovery to Gwaun-Cae-Gurwen, offers unrivalled views you will want to drive again and again. 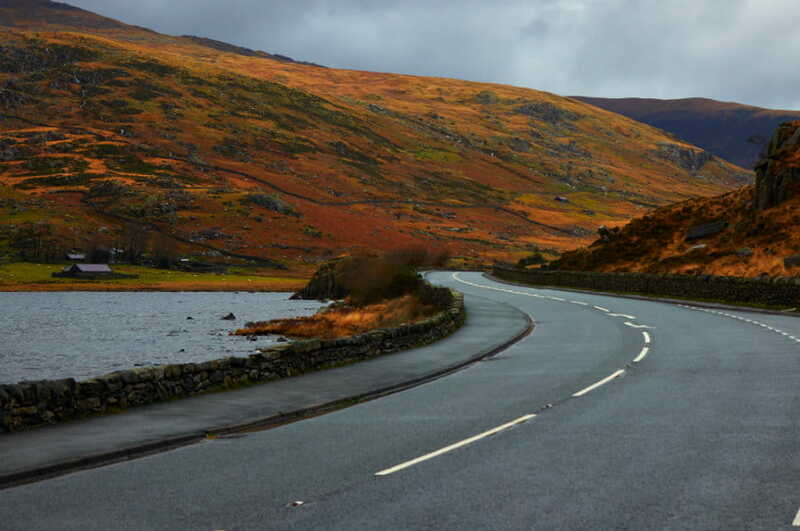 Another grand scenic drive in Wales is the journey to the Snowdonia National Park which also has the most spectacular scenery and lots of picturesque villages that can be seen whilst you wind your way through the area. If you want to experience the best of North Wales, you may want to begin your journey at Conwy Castle on the coast and then make your way through the winding A & B roads, passing through Snowdonia, the charming village of Betws-y-Coed and travelling on to the fantastic tourist village of Portmeirion. Looking for other UK road trip ideas? Take a look at our Bristol to London road trip route.